Attention high school and college students – and yes, grad students too! It’s your turn to explore our archives and possibly win some serious money! Again this year, we are having a Student Essay, Poetry, and Video Contest, with $8,500 in prize money and complimentary tickets to our annual gala dinner in the fall. All that you have to do is research the Japanese American World War II story and write an essay, create a poem, or film a short video about what inspires you. If you are one of the top finalists, not only can you win a monetary award, but you also have the chance to meet the WWII veterans themselves at our annual gala dinner. It’s an opportunity that is definitely once-in-a-lifetime! The deadline for submissions is June 30, 2016. Last year, we received over 245 entries from all over the country. Entries came in from 16 states and the District of Columbia, approximately 55 high schools, and 20 universities. Winners came from California, Pennsylvania, Hawaii, Illinois, Massachusetts, Idaho, and Nevada, with all first place winners hailing from different states. Please contact Chris Brusatte (chris@goforbroke.org, 310.222.5711) with any questions. There has never been a better chance to explore our archives, find out what inspires you, and tell us about it through word or film. And, hey, who knows – you might actually win some serious money and get to meet the very heroes whom you researched! 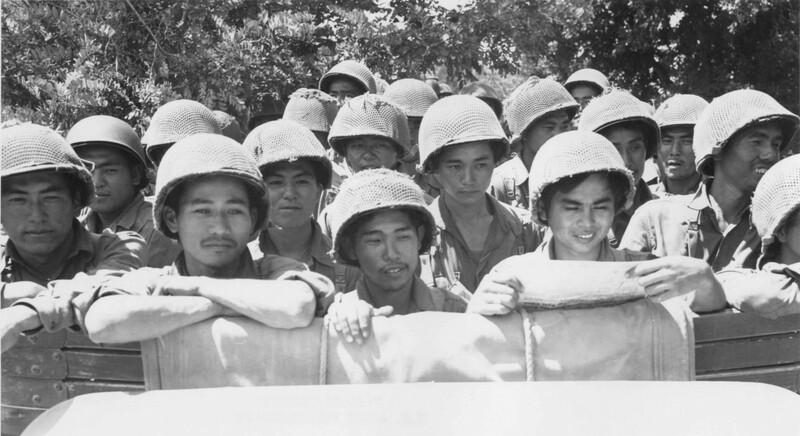 Did you know that Japanese American women also volunteered for the Army during World War II? Sue (Ogata) Kato was one of these women, and our archives contains a beautiful oral history interview with her. She tells of her American upbringing, the discrimination that she faced for being of Japanese ancestry, the patriotism that she felt when war broke out, and the experience that she had serving in the Women’s Army Corps. Her interview is a treasure trove of information, telling the Japanese American WWII experience from the all-too-elusive female perspective. Sue’s father also did not initially share Sue’s enthusiasm for joining the Army. But Sue’s patriotism and her reasoning were strong. She joined to help America and to enable more men to fight overseas. “Yes, I went to relieve the boys,” Sue tells the interviewer. “I know they were chomping at the bit, you know, [stuck at the Army’s] desk jobs.” Because Sue and other women joined the Army and took over their stateside bureaucratic duties, countless men could join the front lines overseas. And prove it she did. Sue served her country admirably in the Women’s Army Corps, rising to staff sergeant. Her work broke both gender and racial barriers, and she faced down prejudice with courage. Sue’s story is just one of the almost 1,200 in our oral history collection, and it is yet another example of how individuals acted with such courage against outstanding odds. World War II is their story, and it is up to us to forever remember it. Battlefields, combat, and wars are so often depicted and dramatized in media. Countless television shows and movies portray the bravery, tragedy, pain, and heroism commonly associated with soldiers’ war experiences. Since these works of art are mostly meant to simultaneously entertain and educate us, there is ultimately always that lack of complete authenticity when compared to a primary source. With this post, I want to display a photograph from Go For Broke National Education Center’s archives and explain the context of the photo to help highlight the often overlooked sacrifice of the Army Medic. Hiroshi Sugiyama was a Technician Fifth Grade in the medic detachment of the 442nd Regimental Combat Team. Because of laws and agreements put into place by the Geneva Convention, medical personnel were to be treated as non-combatants by the enemy. That is, they were not to be targeted or fired upon intentionally during combat, and they were to be given due opportunity to treat and remove wounded soldiers from the battlefield. Medical personnel were even easily recognizable by the Red Cross insignia they wore on their armbands and/or helmet for their protection. This did not make medics immune from battlefield danger, however, as some enemy troops (especially snipers) would recognize the Red Cross and specifically target medical personnel to cripple troop morale and eliminate the possibility of any life-saving medical services during combat. Despite this fact, medics would still routinely rush into the field to aid the wounded, putting themselves in grave danger in the process. Considering that Hiroshi Sugiyama volunteered for the Army from Topaz Concentration Camp in Utah, that sentence is a vast understatement. The featured photo of this post comes from Go For Broke’s photograph collection from Hiroshi Sugiyama’s family. This specific photograph portrays Hiroshi Sugiyama’s funeral at Golden Gate National Cemetery near Sugiyama’s home of San Francisco. While the identity of the gentleman receiving the condolence flag is not completely clear, it is very likely that it is Sergeant Shinobu P. Sugiyama, a fellow member of the 442nd’s K Company and (more significantly) Hiroshi’s brother. What is clear, however, is the pain and grief on this gentleman’s face. Much of the wartime propaganda produced by the U.S. Government focused on demonizing the enemy through skewed photographic representations. Americans naturally associated Japanese Americans with the portrayals of Japanese soldiers and lashed out at their fellow citizens. Looking at this photograph, however, no one would be able to accurately say that it portrays anything except the quintessential values of Americanism. In closing, it is important to reflect on the legacy of the Nisei soldier and how it was built. While many returned from the war and continued fighting prejudice in order to build successful careers and lives, others were not afforded the same opportunity. Some, like Medic Hiroshi Sugiyama, laid down their lives to fulfill their duty of saving others. As someone who has made it their career to preserve stories and legacies, a single photo such as this one can make a huge impact and say more than words could ever do. Saving items such as this photo are why archives are so important and crucial moving forward. GFBNEC Exhibit Opening: Save the Date! Well, the New Year is upon us – 2016. For thepast 25 months, I have been excited for this year. 2016: the year that our new, dynamic, state-of-the-art exhibition opens to the public. The year that thousands of visitors will begin streaming through our doors. The year that the Japanese American World War II legacy will reach new, younger, and larger audiences. Our Los Angeles-based exhibition now officially has an opening date: Saturday May 28. We will hold a public celebration and honor the surviving veterans. We will host dignitaries, scholars, educators, students, and supporters. We will cry, laugh, and learn. 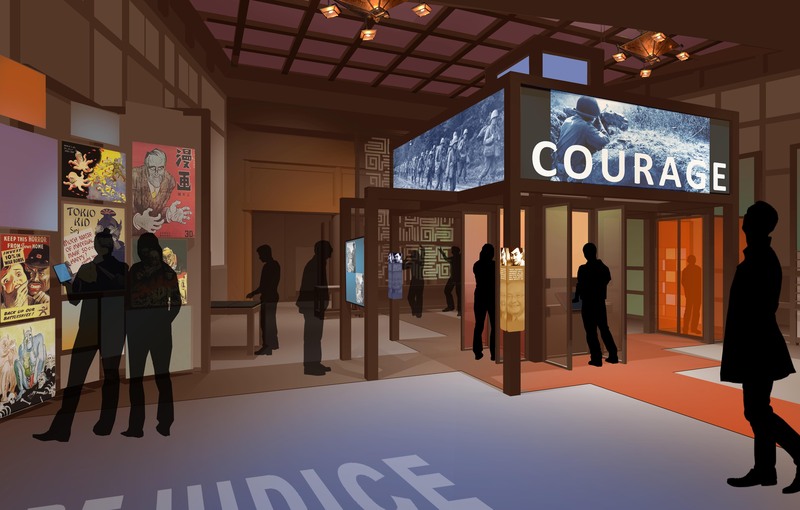 And then, the first of many visitors will explore our exhibition, learning about the heroic Japanese American WWII generation and the lessons that they can impart to today’s hectic times. hives. Our collections team has been hard at work digitizing and preparing materials for the exhibition. Our exhibition will be vibrant, personal, and educational specifically because of their efforts. So please mark down May 28 on your calendar. We would love to have you present at this special event, when we open up our new exhibition to the world! More information will be forthcoming as the date approaches, and you can contact me at chris@goforbroke.org at any time for further details. This is an event that you will not want to miss, and it is an exhibition that will hopefully ignite passion, courage, and tolerance in today’s world.